Penguins are showing us how to ADAPT – they have been adapting for 60 million years! Support our work championing science-based conservation and educating the public on climate change ADAPTATION. What happens to them affects us all. We are the eyewitness to environmental change in the Antarctic Peninsula. The three species of penguins we study are trying to adapt to a 3˚C / 5˚F temperature rise in Antarctica. We'll soon face similar challenges. Antarctica and our penguins are incubators foretelling our planet’s future. We are the Antarctic ‘truth-tellers’ championing science-based conservation and increased, international awareness about adaptation to a warmer climate. We’ve been counting penguins and tracking their population changes for a quarter-century. For them, as for us, it all comes down to having FOOD to eat, a HOME that’s safe to live in, a healthy ENVIRONMENT free of disease, and our ability to produce future generations of CHILDREN AND GRANDCHILDREN. For science-based conservation, we have made notable, long-lasting contributions to the Antarctic Treaty, which intends to conserve the Antarctic forever. Since 1994, Oceanites has been monitoring and analyzing penguin and seabird population changes across the vast Antarctic Peninsula – where it's warming faster than anywhere else on Earth except the Arctic. We are the world’s only nonprofit, publicly supported Antarctic research program. We are the only project monitoring the entire Antarctic Peninsula region. 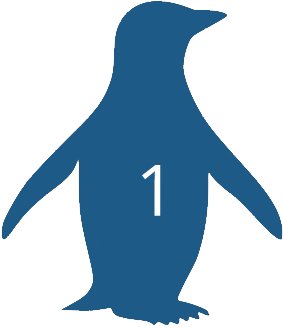 We maintain the only Antarctic continent-wide penguin database used by all Antarctic researchers (MAPPPD). We publish annual State of Antarctic Penguins reports. We published the 1st Antarctic Travelers’ Code. We have published numerous, seminal scientific papers about changing penguin populations in the vastly warmed Antarctic Peninsula. We contribute annual reports to the Treaty’s Committee on Environmental Protection. We are invited, international observers at the Antarctic fishing meetings known as CCAMLR. We continue to assist krill fishers in adopting a no-fishing buffer zone near penguin colonies. Our scientific research fosters increased awareness of climate change adaptation through the lens of penguins and Antarctica. Our view - if penguins have survived for 60 million years, their lives offer secrets as to how we might adapt and survive as the warming comes our way. When analyzing penguin population changes, we ask whether these are caused by changes to their food supply, homes, environment, and/or ability to reproduce. We ask the same questions about ourselves! Will our homes be safe - avoiding fires, floods, mudslides, eroding coastlines, hurricanes, tornadoes, rising sea levels, and earthquakes? How will public health be threatened? What will the future look like for the next generation? What do we need to start doing now to ensure survival for our children and grandchildren? Help us continue to educate the world based on science and how penguins have been adapting for 60 million years. Invest in our penguins. Please donate now. Oceanites, Inc. is a tax-exempt nonprofit §501(c)(3) organization under US law; donations by US citizens are tax-deductible. Help us promote a better future for our kids and grandkids. Because climate change is here! YOU CAN HELP. HERE’S HOW!